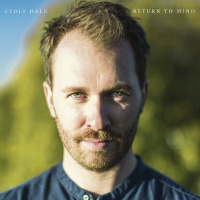 Thirty one year old pianist Eyolf Dale is a leading figure in contemporary jazz in his home country of Norway and an Associate Professor of applied piano at the Norwegian Academy of Music department of jazz studies. 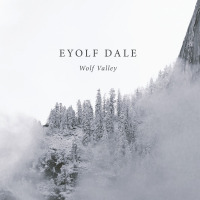 The album's title, Wolf Valley, is actually a play on his name as in Norwegian, Eyolf means wolf and Dale means valley. This is chamber jazz of sorts, but paradoxically packing a surprisingly satisfying punch too. "Furet" initially evokes a feel of Birth Of The Coolbut soon transmutes into something else entirely with Eyolf Dales fluttering piano and a resounding ensemble resolution. The centrepiece of the elegant "Fernanda" is Adrian Løseth Waade's pensive violin solo whilst the ensemble passages are worthy of Carla Bley. "Shostachoral" has a lugubrious feel punctuated by the rise and fall of the ensemble. It was originally an improvised organ chorale from Dale's solo album Hometown Interludes. Introduced by delicate vibraphone, "Ban Joe" has a touch of Michael Gibbs about it, particularly when the piano joins the vibes to play a repeated motif whilst the ensemble overlays a seductively slinky melody line. Piano and vibes again join forces on the hypnotic "Sideways," Dale's left hand evincing a slightly menacing, percussive piano accompaniment followed by an exquisite trombone solo from Kristoffer Kompen. Courtesy of the infrequently-heard musical saw,Per Zanussi produces some feedback-like sounds on "Teglstein" which extend throughout this strange and ethereal piece. But by contrast, "The Creek" is very third stream, benefitting from a flowing cohesion whilst simultaneously exploring the possibilities of disparate groupings of instruments. This track surely evokes the essence of George Russell. "Silent Ways" (Dale's compositions are frequently afforded punning titles) perfectly demonstrates how the leader's piano is both restrained yet effective, whilst the finale, "The Walk" is a rousing vehicle for solos from UK-born Hayden Powell on trumpet and the American vibraphonist Rob Waring. Track Listing: Furet; Fernanda; Shostachoral; Ban Joe; Sideways; Teglstein; The Creek; Silent Ways; The Walk. Personnel: Eyolf Dale: piano; André Roligheten: tenor sax & clarinet; Hayden Powell: trumpet; Kristoffer Kompen: trombone; Rob Waring: vibraphone; Adrian Løseth Waade: violin; Per Zanussi; bass & saw; Gard Nilssen (drums).